We have a Fry's in Austin that's a real showplace for the brand. It's huge, it's beautiful, and it has an incredible selection of electronics/appliances/televisions/computers/etc. This store is so large it has over 70 checkout lanes, and during the holidays, there are times when they're all open. 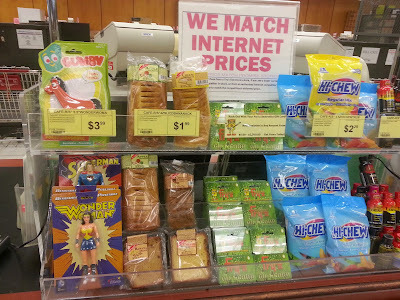 So while it doesn't look good--at all--for brick and mortar stores, Fry's is an exception. Or it was until about a year ago, at least. That's when I started noticing the product mix changing. Certain categories of legitimate, consistent merchandise (like video games) were shrinking and getting replaced by, well, crap. "Advertised on tv" items. Five dollar bottles of perfume. Row after row of junk. That's when I realized Fry's wasn't different at all. They have a huge space to fill with inventory, and they can't sell enough in certain merchandise categories to justify the floor space anymore. So they're putting in the cheapest possible stuff they can that will enable the store to still look full. In a retail sense, the store is no longer coherent. Fry's still does a huge amount of business. But their product mix is starting to sound like a death rattle, and I wonder how much worse it will get. I still remember when Best Buy, Circuit City, and CompUSA were all within ten minutes of my house. Now, Best Buy is the only holdout, and they're not going to last much longer. It's not a bad thing, necessarily--Amazon is spectacular when it comes to prices and customer service--but it does feel strange. Ten years from now, it may not be possible to walk into a store and look at much of anything, unless its groceries. On a positive note, Fry's does have the funniest impulse racks I've ever seen. That's right. In the same rack, you can get Gumby, Wonder Woman, cheese danish, banana bread, gift cards, fruit chews, and Five-Hour Energy. And if you can get that cheese danish cheaper over the Internet, they'll match the price.